I have always loved the principle of form + function in design. 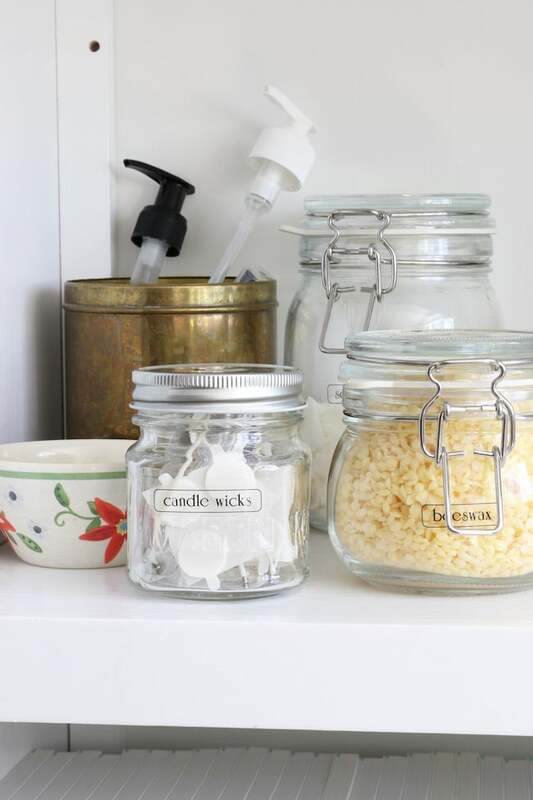 I find that when my useful and practical household items are attractive, I actually enjoy those every day tasks like cooking, cleaning and tidying up around the house a bit more. 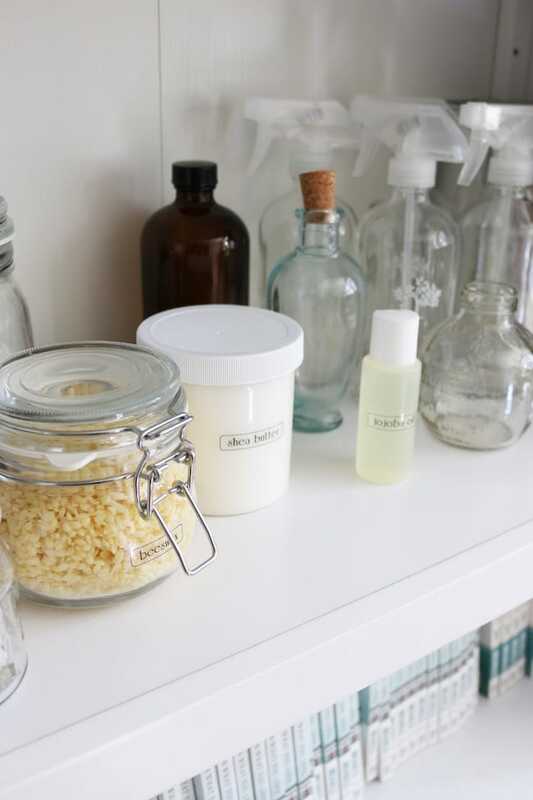 When functional items are pretty enough to be out in the open and the house still looks tidy and pulled together? That’s a home decor lovers’ dream. So as a part of my “fall nesting” rituals I start assessing ways to bring more form and function to our everyday tasks. I’ll be honest, one of my personal pet peeves is ugly smelly sticky germ-filled trash cans. I know, ew, right? Even worse is seeing a messy trash can sitting out in an otherwise lovely space. I don’t know about you, but I find juggling messy food, plates, and opening trash or recycling can lids to be a risky and messy situation. It just is. So what can we do about it? When simplehuman contacted me about trying out one of their new sensor cans, my heart started to pitter patter. 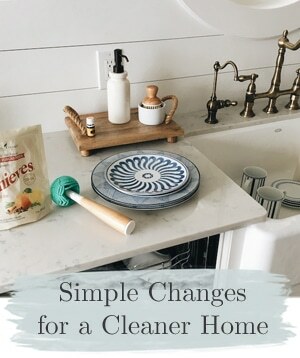 I’ve actually had simplehuman cans in our home for years (their lidded cans are perfect in our bathrooms for keeping pets out!). 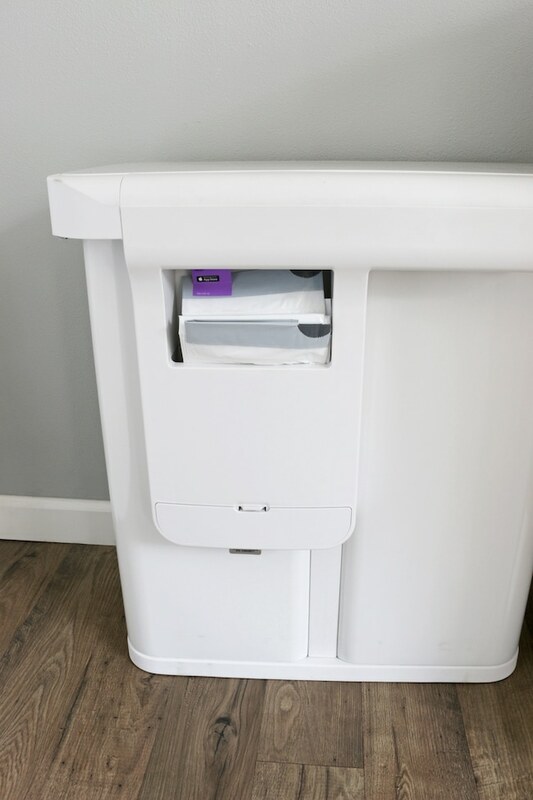 simplehuman is known for their high-quality design and innovated products, but they have introduced another dimension of ease and efficiency with this sensor can with voice control. 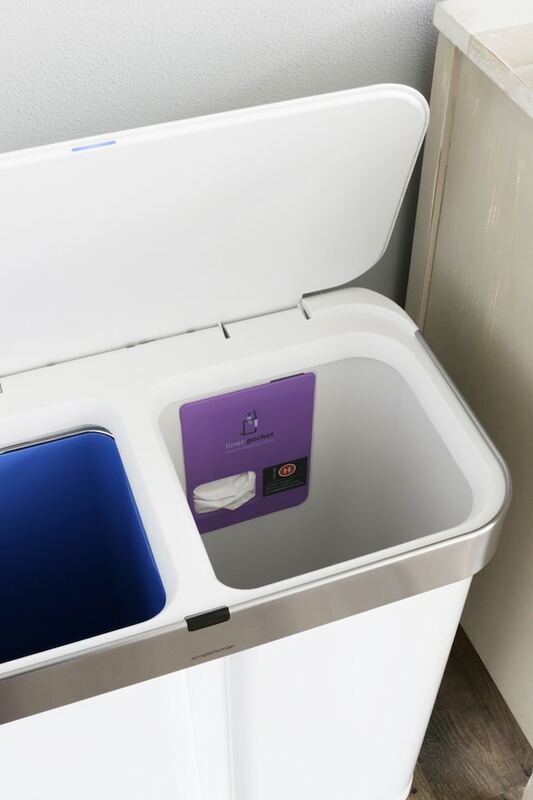 This sensor can with voice control allows users to open the can at their command, whether they’re rushing over with a dripping mess or simply tossing a paper towel from the sink. You ask it to open and it does! I am not even kidding you. Check it out for yourself in our little video demo, above. Can you even imagine how much easier it is to open a can on command and deposit messy things inside without dripping stuff everywhere? It also has a motion sensor with an extended range of access for quicker, effortless use, while the voice sensor adds more range and versatility. 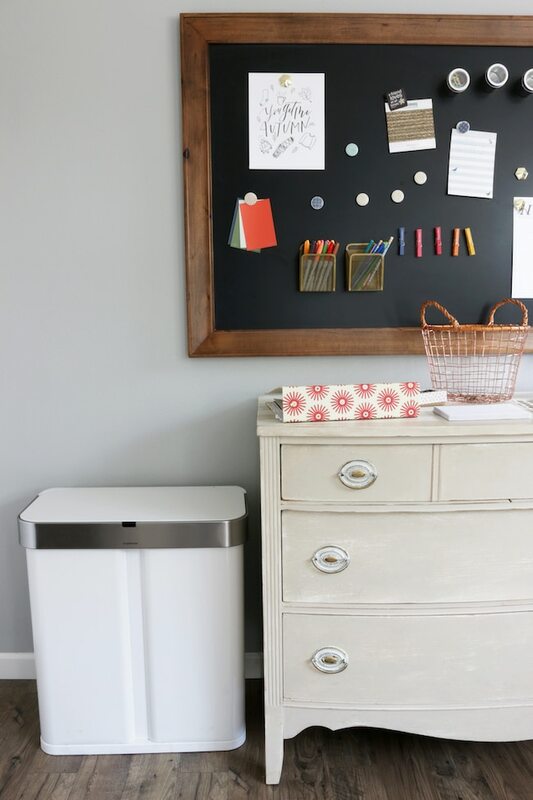 Who knew you could fall in love with a humble trash can? 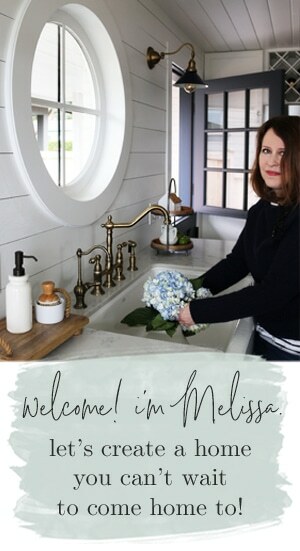 This can truly is a dream for anyone who loves design and a mess-free, germ-free experience, too. I would absolutely put one of these cans in my kitchen, if I had enough space for it. In fact, honestly I would have MADE room for it had I known it existed. It’s that awesome. But, I love having it in my office. 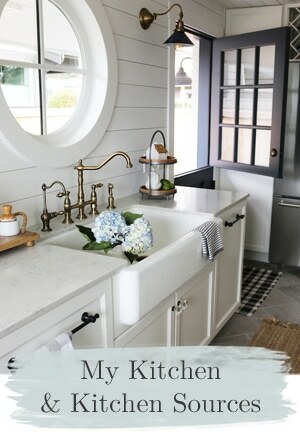 It would be wonderful in a laundry room or bathroom, too. It’s pretty, so convenient for everyday needs and makes tidying up a breeze. 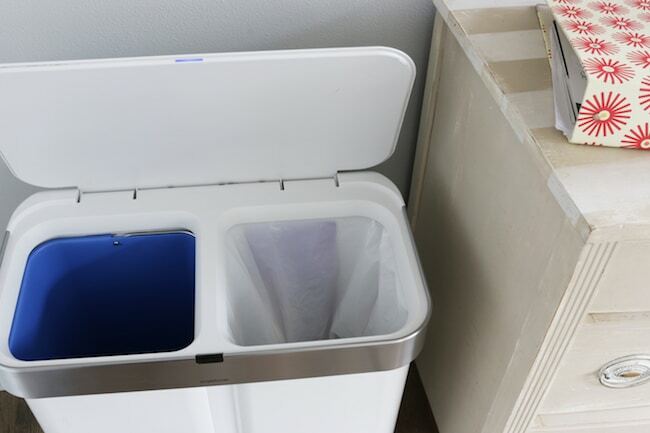 I love that it has dual compartments–one for trash and one for recycling. I chose this can for that very reason! It’s so convenient to have the two separate compartments. The liner pocket conveniently located inside the can makes changing the bag a breeze! It makes for quick and easy dispense when taking out the trash. It’s easy to place anywhere! 6 AA batteries lasts up to 3 months, or there is an adapter for electric operation. I love that this can is energy-efficient. My favorite thing is when products work well and last for years! This can is engineered and tested for years of dependable use. When idle, the sensor range is focused right above the lid, so it only opens when you want it to. Once activated, the sensor area expands, so the lid stays open until you are finished with your task or have walked away from the can! 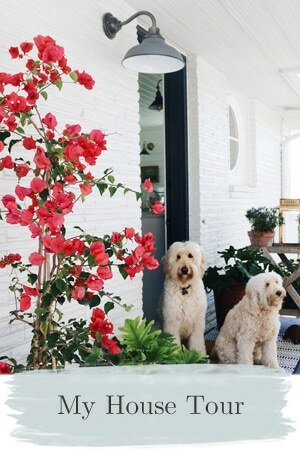 Want one of these beauties for your home? Alrighty, friends. Let’s talk trash, shall we? 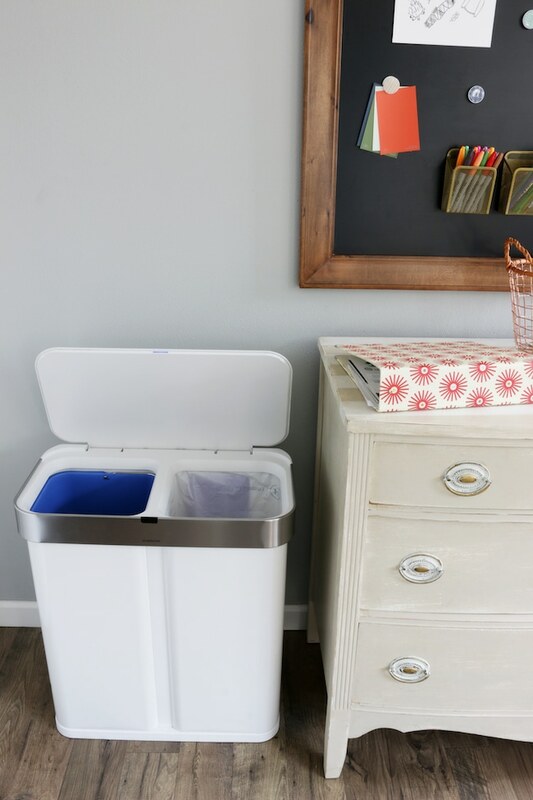 Comment below and tell us your dream household innovation or favorite simplehuman product to be entered for a chance to win the same trash can I have! In my organizing book, Make Room for What You Love, I wrote about how important it is to get your hobbies organized if you are ever going to actually DO them. It is SO true for me, so this past week I took my own advice! I’m so excited to show you how we labeled supplies for my own hobby. 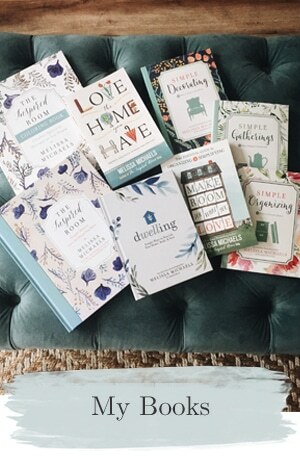 Keeping my home organized is important to the quality of my life in so many ways. If I have to crawl around in a cluttered closet or dig around the garage to find what I need, I will lose interest in whatever it was I was looking for. If I’m ready to relax or have fun with a creative hobby, it needs to be organized so it’s ready for me when I’m ready for it! Disorganization turns things I want to love into clutter. I’m not much of a crafter (as you probably know by my lack of DIY skill, ha) but I’ve always had a small part of me that really enjoys making things. 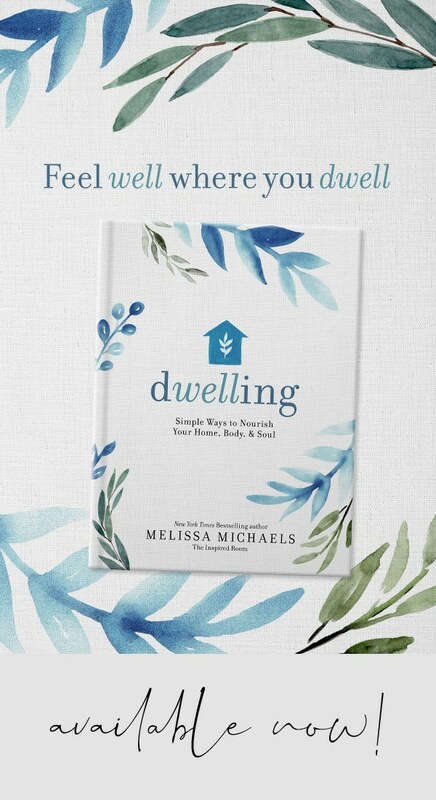 Low-stress or creative projects can be therapeutic as they help slow down the pace of life. A year ago my sister and my girls and I visited a local apothecary store and came home with all sorts of fun supplies to make candles, lotions, bath salts and soaps. We had a great time making things together when we got home. Then the remaining supplies got tossed in the brown bag we brought them home in, and lost in the back fo the closet. While I’ve often thought about hosting another DIY-day, I knew I’d first have to get things in order. Enter the Brother P-touch PT-D210 label maker (the same one I used for my spice drawer organization). It is my no-fail way to label just about anything! You can see the video we made below to show you how simple it really is. Just look at all the apothecary supplies now! 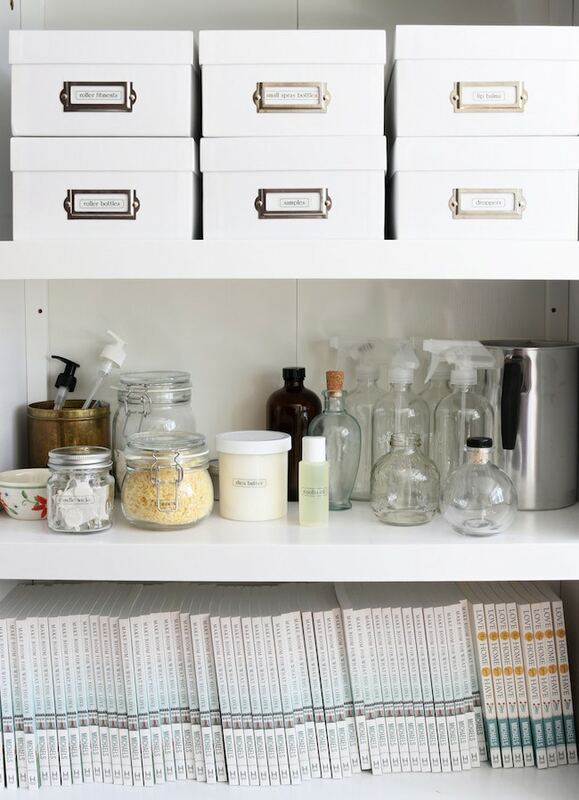 Wouldn’t you be more inspired to use them when they’re nicely labeled and organized? I sure am. 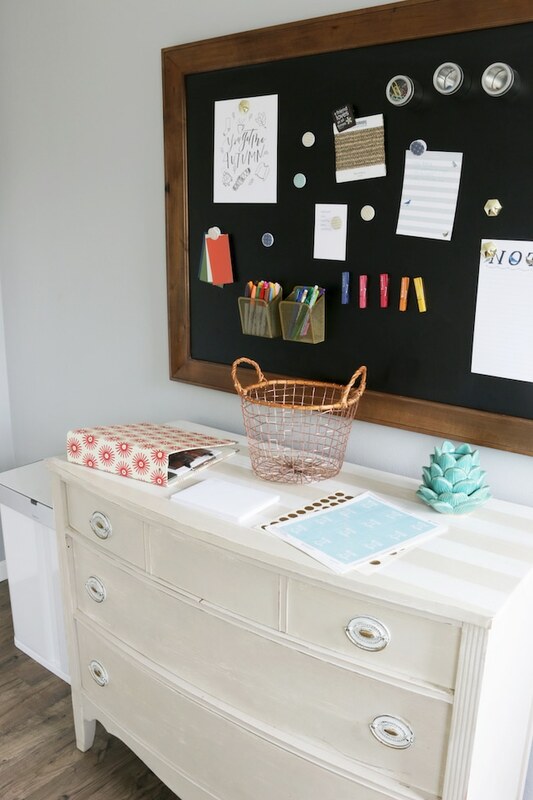 It’s really not hard to get craft supplies organized, and it can actually be a fun project in itself! Gather the supplies you need to enjoy just one hobby (you can do more later, but start with one!). 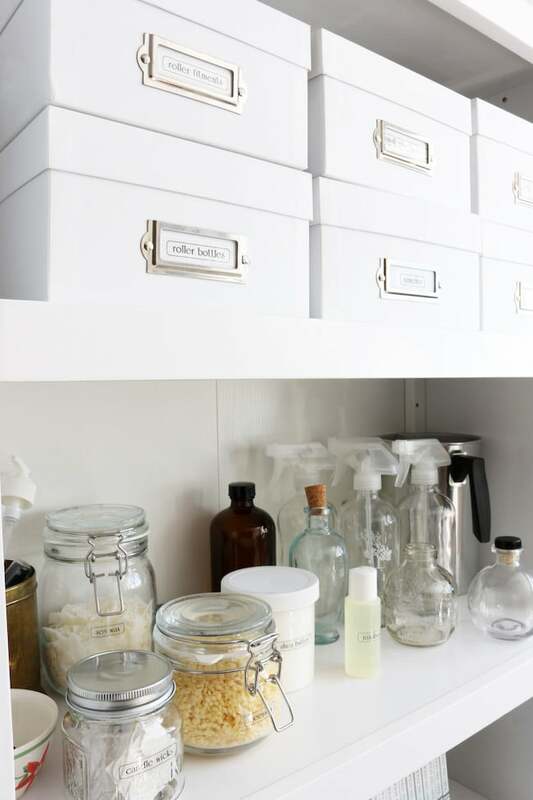 Select one shelf, or one drawer to use for organizing. You don’t have to start with an entire craft room! That’s too overwhelming for anyone. 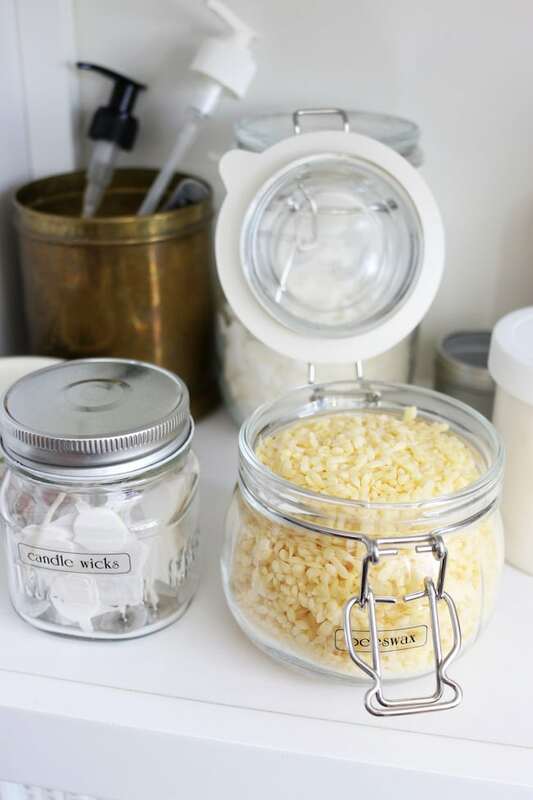 It was easy to print clear labels with a simple border and pretty font to put on my jars. The shelf now looks so fresh, clean and lovely! 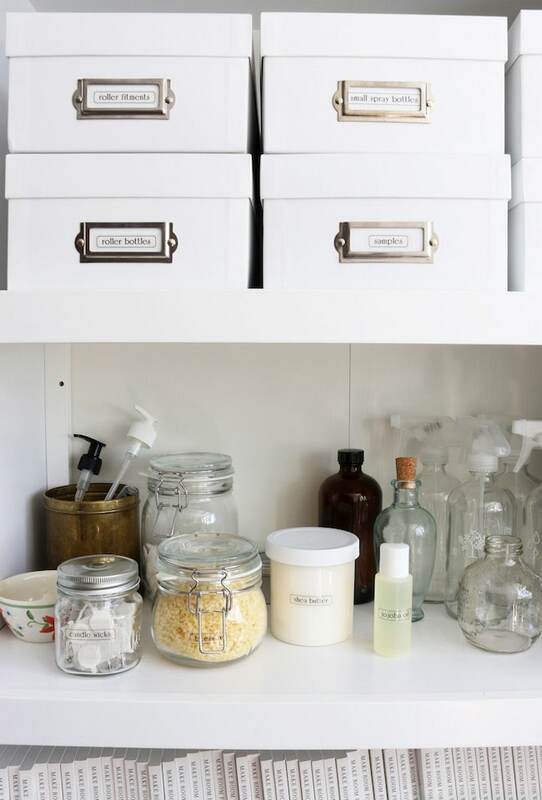 But best of all, my supplies are organized–and ready to use. 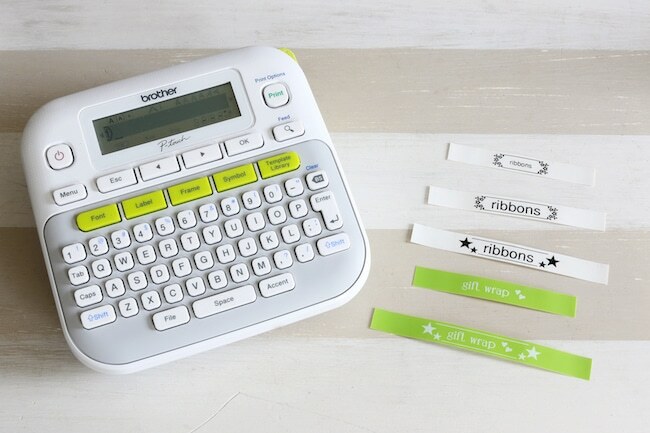 With the P-touch PT-210, you can easily personalize your labels with different color tapes, 14 fonts, 97 frames and more than 600 symbols. I can’t wait to try out a handful of different color tapes with different borders and symbols for future organization projects. You can purchase the P-touch PT-210 at Amazon. What’s an organizational project you could work on this fall that would inspire YOU to do what you love?